Wilson Tarbox reviews Chagall, Lissitzky, Malevich: The Russian Avant-garde in Vitebsk, 1918–1922, on view at the Centre Pompidou, Paris through July 16, 2018. 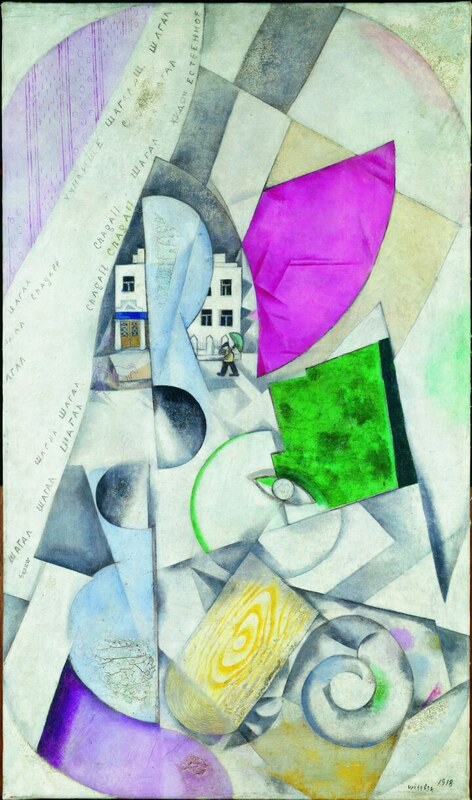 The exhibition highlights the short lived People's Art School, started in 1918 by Marc Chagall, and its demise that coincided with the "tension ... between Chagall and his particular notion of revolutionary art — oneiric, lyric, intuitive, and highly individualistic — and the more collective and structured model promoted by Kazimir Malevich upon joining the school’s staff in November 1919. Their different approaches to art making would ultimately lead to Chagall’s begrudging departure in 1920, followed by the school’s dissolution only two years later."